To Water: Soak for 20 minutes, then drain excess water and place back into container. Water once a week only! Likes warm temperatures 20 C to 27 C.
Fertilize monthly only when not in bloom. 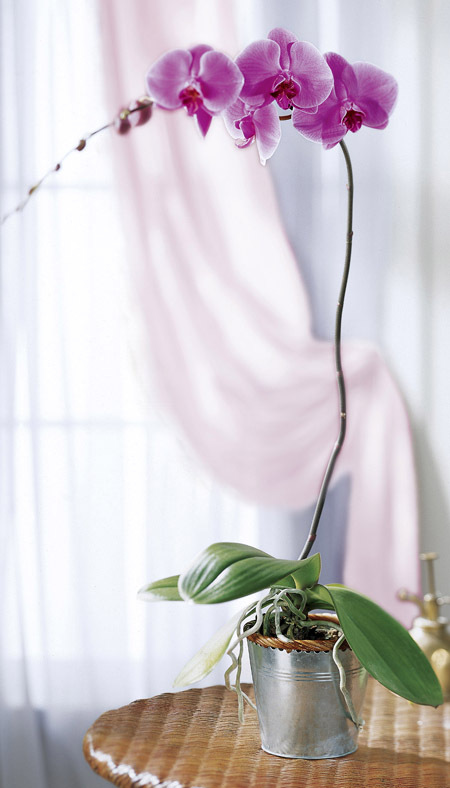 If your orchids is in a ceramic jardinere, do not let your orchid sit in water because root rot will occur! !